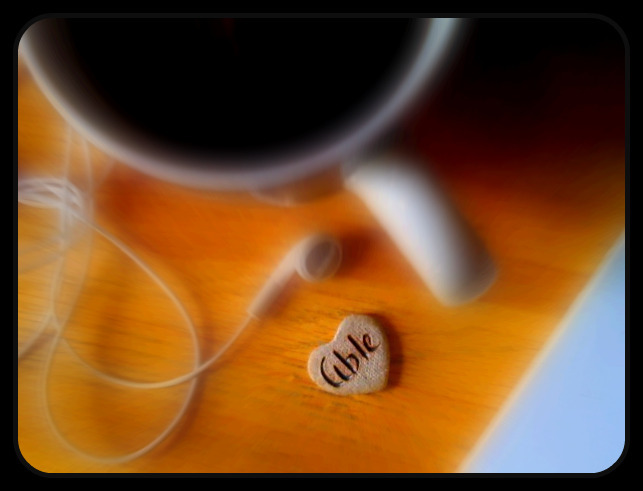 She laid it in my hand and as I felt the letters. And with the Get Fit Challenge ending this week for us, I can’t help but feel that this little stone heart is a gift from a very watchful God. If there is one thing I needed to know today, it is that I am able. Since January, I have learned…. I am able to be the best me. And I want to tell you this: YOU ARE ABLE. One day at a time, one meal at a time, one run at a time. I can’t believe the challenge is over. I can’t believe how different I feel. I can’t believe that starting tomorrow, no one will be watching my every nutritional intake or counting my exercise hours. Regardless, I am going to live this healthy lifestyle. I like it. And even on the days when it gets impossibly hard, or when the gym is THE.LAST. place I want to go, or when I hate everything about being healthy, I will keep going. How has this challenge gone by so quickly? It is weird to talk about the challenge, obviously, while our friends and families have lost so much in the Nashville floods. It really puts things into perspective, doesn’t it? It makes me grateful for my people. The ones who have loved me deeply through this experience- every step of the way. And as this challenge comes to an end, I don’t even know how to thank them. There aren’t words. But as I help my neighbors clean out their basements and remove the flooded pieces of their lives, I can’t help but be grateful for my health, for this opportunity, and for my wonderful friends. Thank you Channel 4, Subway, and Nashville Athletic Club. Thank you also the other 9 contestants- y’all were (and are) an inspiration to me. And thanks again to all my dear friends and family. This experience wouldn’t have been half as fun or half as successful without you. I think we’ve gone over this a time or seven, but I’ve been known to be a quitter and to not try things that feel like they might be too hard. But if I’ve learned anything in this competition, I’ve learned that I don’t have to quit. And, in fact, I’m stronger and tougher than I thought. So I’ve picked a couple of activities to try in the next few months that I have never been brave enough to try before. 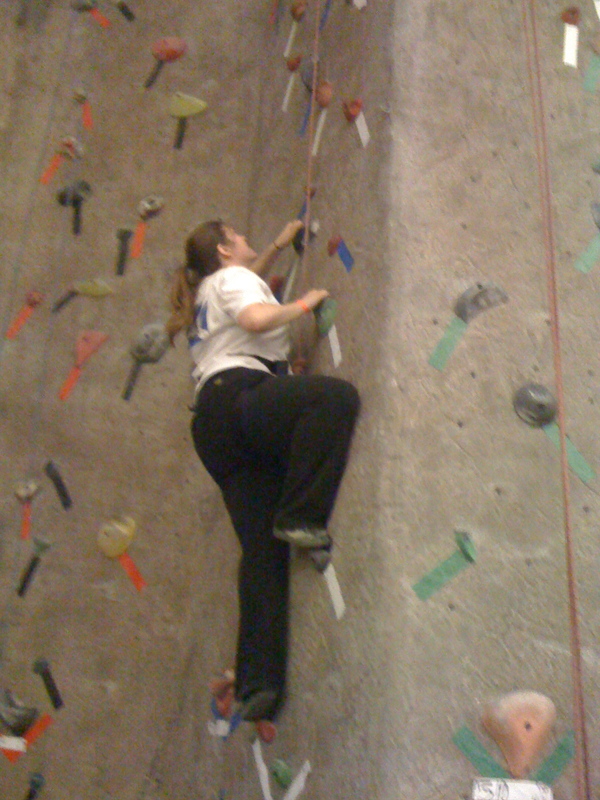 My roommate Laura and I went together, for the first time, to Climb Nashville. 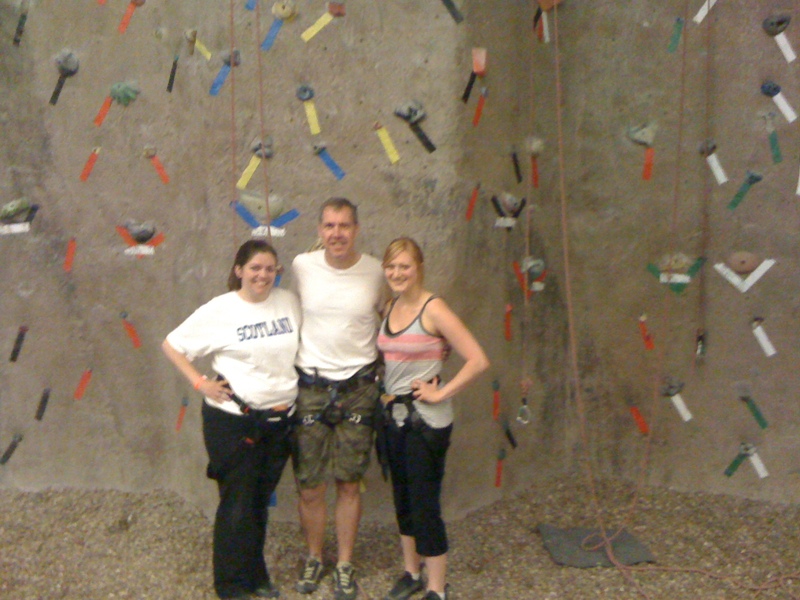 Our friend Chris is a veteran climber and offered for us to join him. It was SO FUN. And it honestly wasn’t as impossible as my mind had convinced me. The dude who trained us and did the intro stuff called it a “self-improvement sport”- there is no competition, no racing. It is just doing better each route than you did the route before. There was one route, though, that was almost impossible for me. 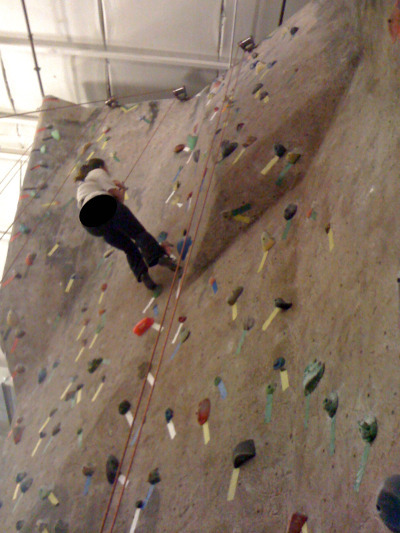 I climbed the first two-thirds of it and then slipped off. [One of the best things about climbing is that you are completely safe thanks to the rope and people on the ground, so slipping off the rock is no biggie.] 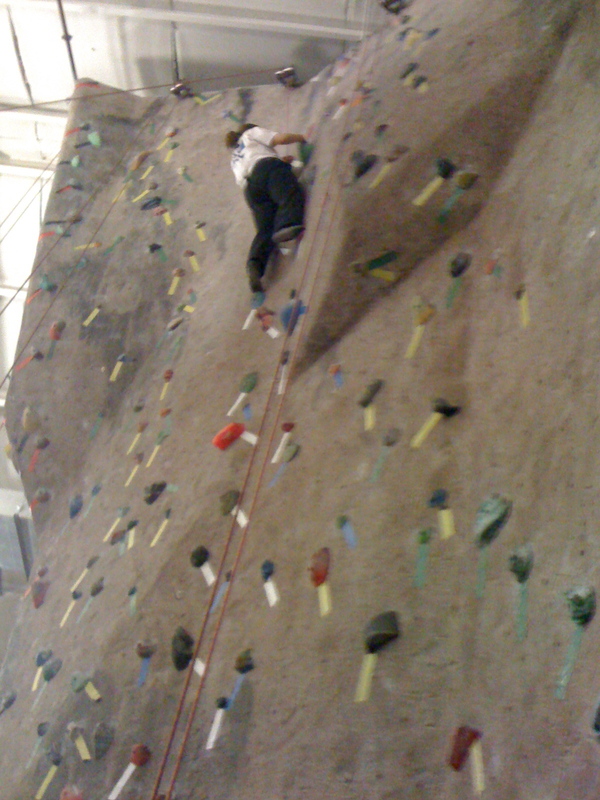 I felt like I couldn’t make it to the top. So I did. And I fell again. And eventually, I did it. I made it to the very top. Of course, it was the last route of my day. 🙂 But I didn’t care. I had been given the chance to quit, just like with this challenge for the last few months, but I didn’t take the chance. I’m not a quitter anymore. I’m not afraid of the walls I have to climb. One job I have ends this weekend with a big event. I have another that is just starting. And then some other things that take up my time. With less than a month left in the competition, I am feeling great and enjoying the changes in my lifestyle. It’s not always easy, but it is a choice I am making every day. I’ve had a tough week. Truthfully, the toughest so far. It’s not that I wanted to quit- that’s not really an option. It’s just that outside influences and inside hurts had my guard down. Where, in the last 10 weeks, I had learned to say no to desserts, I gave in and had one of the most delicious cupcakes in the world [white chocolate cranberry- can you blame me?] and M&Ms. AT THE SAME MEAL. I also felt myself falling back into the old pattern of not making space in my day for exercise. It is deeply true that I am really busy right now. A lot of my jobs amp up in April and I have been working 12-14 hours days. Seriously. But I should still find time. I just should. That’s how healthy Annie wants to live. So it was just a hard few days. Until Tuesday night. Tuesday night I set aside specific time, said no to social events, and went to the gym. The first twenty minutes on the elliptical were a nightmare- I just kept thinking, “if I get off now, I can have time to do blah blah blah” fill in the blank with the 100 other things that could have been done during that time. But my mind is getting stronger. So I didn’t get off. I stayed on the elliptical. And something changed. Something changed in my heart. Something heavy dropped off. Something old went away. And that thing that had been killing my motivation, killing my vibe, killing my desire to really be a better Annie- suddenly it was gone. I think days, maybe even weeks, like this could happen again. It’s the way life works. But this is just the first time that this has happened during the competition. It was hard. It was actually awful. But I survived it. I didn’t quit. I ate a cupcake and M&Ms. This has been a more challenging week for me. My schedule, again, got crazy busy, which leaves less time than I would like to exercise. Here’s an honesty moment for you- I’m ready for the contest to be over. It’s not that I want to go back to living the way I did before. I’m not. Trust me- I don’t want to, and I’m about 92% sure my friends and family would notice and start calling me out. Quickly. But I am ready for it to be over because I’m tired of wondering what the scale says. If this is going to be a permanent change in my life, then what the scale says doesn’t matter. But I want to love the journey. And that is honestly how I am feeling about this healthy lifestyle. This is who I am now, this is how I eat, this is how I exercise. This. Is. Me. And this is a journey. I feel like the scale, and even the desire to stand on it, is destination focused. Which isn’t all bad. When I don’t EVER look at the scale, I balloon up like a blowfish. But my heart is so connected to this journey that every time the destination doesn’t seem to be what I want it to be (read: scale.not.changing.as.quickly. ), it is discouraging. I’m a writer. It’s my job. So writing is how I process. Just ask my friends who get 16 paragraph emails. Bless ’em. So this is the first time I have really processed this frustration and really thought about what it means. What’s funny is just reading back over this post has actually encouraged me. I’m frustrated because I like living a healthy lifestyle more than I like losing weight? You probably just fell off of whatever you were sitting on. I actually enjoyed it. Like, a lot. I did an hour on the elliptical, which I’ve switched to from the treadmill. I’m finding that I sweat a WHOLE LOT MORE after an hour on that puppy. It is not easy and my legs burn like fire, but I sweat. Which is good. Then I went to an hour of piloga- which is a combo of pilates and yoga. I have started to really enjoy going to a class after a little cardio- since my body is already warm, I can just right in to the exercises and really feel like it is a good, solid hour of class. This isn’t going to be my normal life. Two hours a day is A LOT. And honestly, with work, friends, and naps :), I will never be able to consistently spend that much time at the gym. One hour a day, 5 days a week, is really what I can picture happening as a lifestyle. It is crazy to me that I was even able to stay that long. That there was even a hint of a desire to stay that long. That I would even care to take a class after the elliptical. This competition is changing my body. My mind. And my heart. All three are stronger than they have ever been before. I broke a bone in my foot. Actually, I broke off a piece of the bone on the top of my foot. The doctor, needless to say, was not happy that I waited to long. And that I’ve been working out. The whole time. Luckily, the piece of bone I broke off is kinda small, so he gave me some directions on how to protect it for the next few weeks before we follow-up again. So this week, I’ll be focusing on the bike and water aerobics and things that don’t make me hop on my right foot. Hope you got to see the segment on More at Midday– our weigh in! I’m excited that I’ve lost 10 pounds and hoping that by mid-May I’ll have lost a good bit more. Whoo hoo! My life is too busy. I try to cram too many people and too many things into too small of a space of time. My life is a metaphorical clown car. So to add daily exercise has caused the wheels to fall off and the doors to bust at the hinges. I struggle with balancing loving people and taking care of myself. I don’t know who wins. I get frustrated if I set aside time to exercise and then it gets replaced by something seemingly more important. I love my friends. I love my social life. I really REALLY do. So I’m working on balance. On taking time for me. On using my time at the gym to meet up with friends so that it doesn’t feel wasted. On understanding where my health falls in the list of important ways to spend my time. Y’all have a great week. Here is the recipe for the awesome granola in the videos. Melt the fake butter and honey together. Once melted, add the vanilla and take off the heat. Pour over the dry ingredients and stir. Spread onto a lipped baking pan and bake in the oven for 17 minutes at 350 degrees. Then watch closely! When the granola reaches a sweet little brown shade, pull it out. And y’all, this stuff is GOOD. I’ve eaten with yogurt a few mornings this weekend and I have been THRILLED with it. 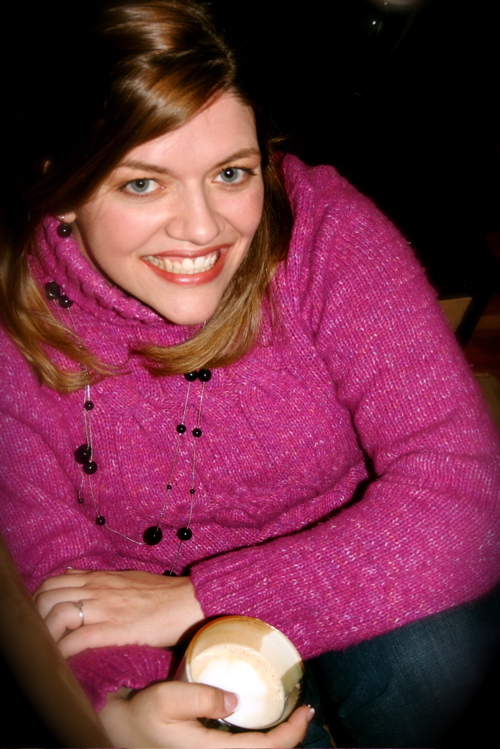 Thanks again to my sweet friend Amber- here’s the link to her blog. Go send her some love.